Need to feel not just like a boss, but like some kind of nineteenth century railway tycoon? Or oil baron? Or coal despot? Well, we have just the thing. 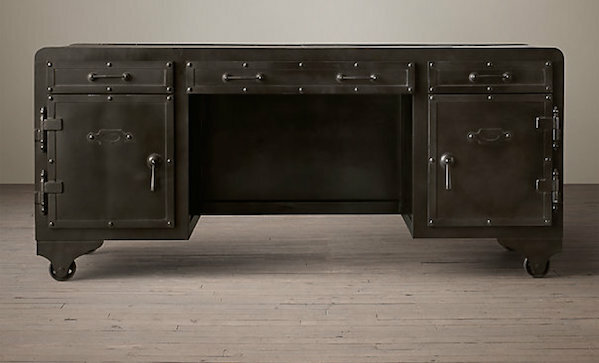 Meet the iron vault desk ($2,600). It’s made of sheet steel, has castors, latching doors, and looks like it belongs in Red Skull’s fortress. Which is how we imagine our office.